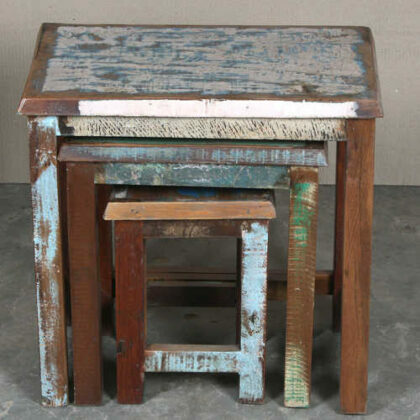 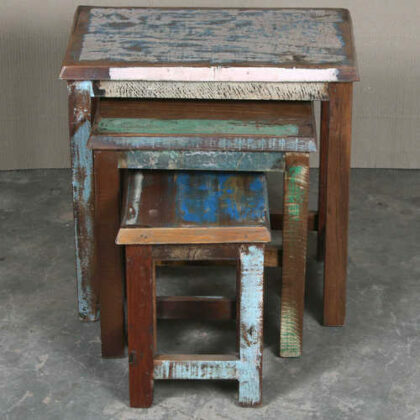 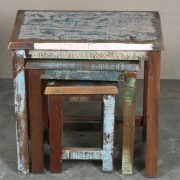 Nest of three colourful tables made from reclaimed wood. 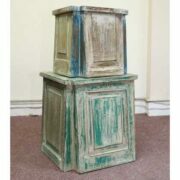 Simple in design yet strong and sturdy, these nests of tables are really handy for your living room as they tidy away nicely. 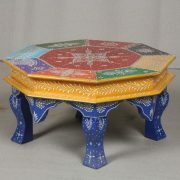 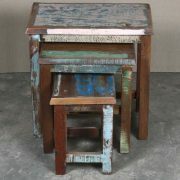 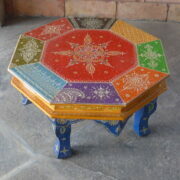 Made from recycled wood, the tables are each different in their colour but are very vibrant and colourful. 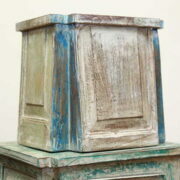 The finish is a combination of distressed paint work of varying colours like (though not exclusive to) red, green, blue, orange, yellow, and purple with different textures and shades of natural wood grain. 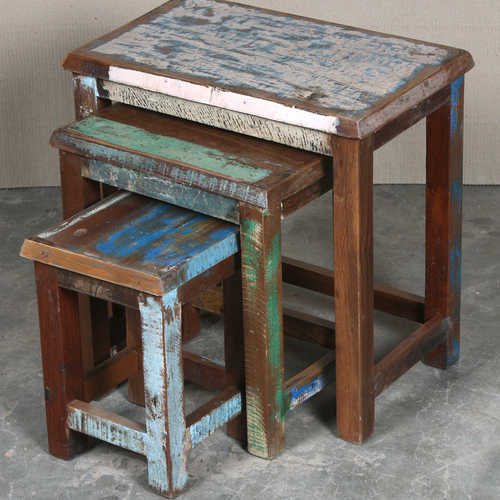 Don’t hesitate to contact us to ask to view our current stock as each set of tables will be slightly different to the others, making these items wonderfully unique.